Did you buy aftermarket Wheels? Don’t forget to put in a new set of Tire Pressure Monitoring Sensors into your new wheels. If you don’t put in a set of TPMS (Tire Pressure Monitoring Sensors) into your new wheels then your dash will alert you that there is a sensor error. This can be quite annoying to turn off every time you get in your car. I picked up a set of Valve Mounted Sensors from LRS. These 2010-12 Mustang Tire Pressure Monitoring Sensors are sold as a set of 4, 1 kit is all you need for your new wheels on your 2010-2012 Ford Mustang. These particular TPMS sensors are not compatible with 2007-2009 Mustang. through sensors located in the tires. Because under-inflated tires are hard to detect with the eye the National Highway Traffic Safety Administration, requires that all passenger cars, light trucks, and vans (Gross weight less than 10,000 pounds) be equipped with TPMS starting in model year 2007. 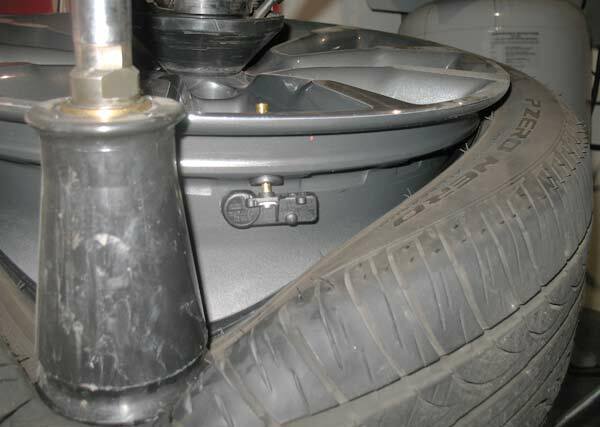 For the 2010 Mustang, Ford went to a Schrader Valve mounted TPMS sensor that makes for much easier installation. This same sensor carries over to the 2011 & later Mustangs. When the TPMS warning light on the instrument panel lights up it means the system has detected at least one tire with pressure below the accepted minimum psi for that vehicle. Ford vehicles use an image of a cross-section of a tire with an exclamation mark inside. Whether the vehicle you are working on uses Banded or Valve Mounted bolt-on or snap-in applications, there are several things you should be aware of. maintenance suggests replacement of all the sensors. ID … Additionally, each sensor has an identification code which signals its ID to the control module. Reset … The TPMS needs to keep track of which wheel is which. This means, for example, when the tires are rotated on a “split placard” vehicle – generally a heavy duty application with different front and rear tire pressures – the system must be reset to allow the control module to learn the new position of each sensor. should be deflated and the valve pushed down into the tire before breaking the tire bead away from the wheel. and the pressure-sensing port of the sensor. The warning light will go off and the sensor will need to be replaced. 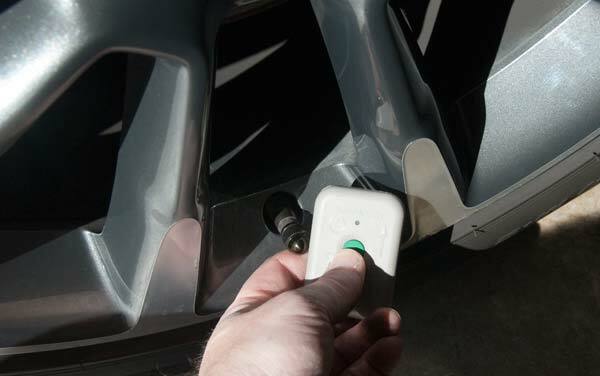 Click the link to see the install article on these Mustang tire pressure monitoring sensors.